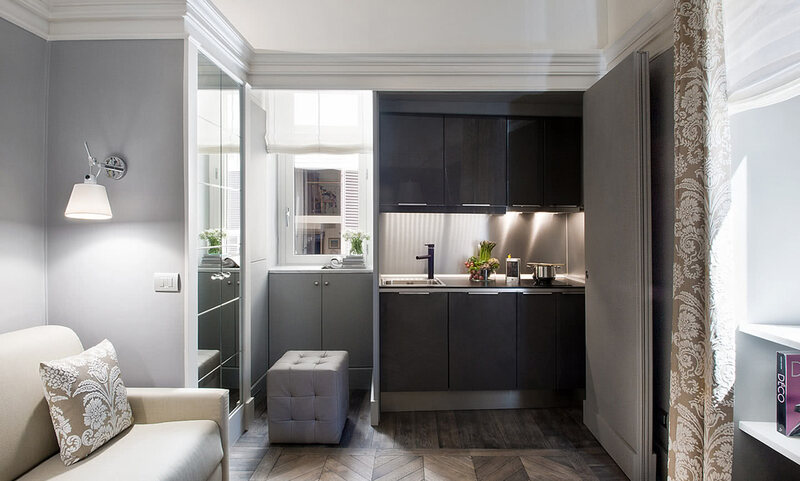 Casa Montani has opened a Luxury apartment in Piazza de’ Satiri, an exclusive house, located in an authentic and quiet area between Campo dé Fiori and Piazza Navona. 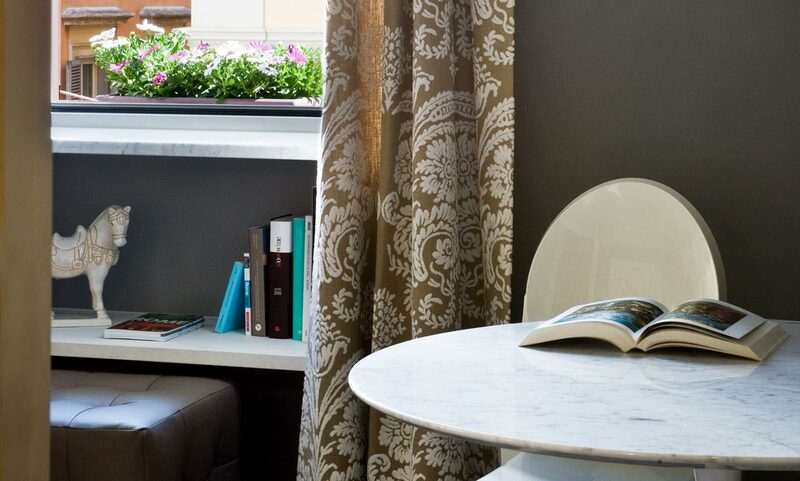 Ideal for a romantic stay in Rome’s heart beating center, nonetheless a real coziness for family’s travelling with children. 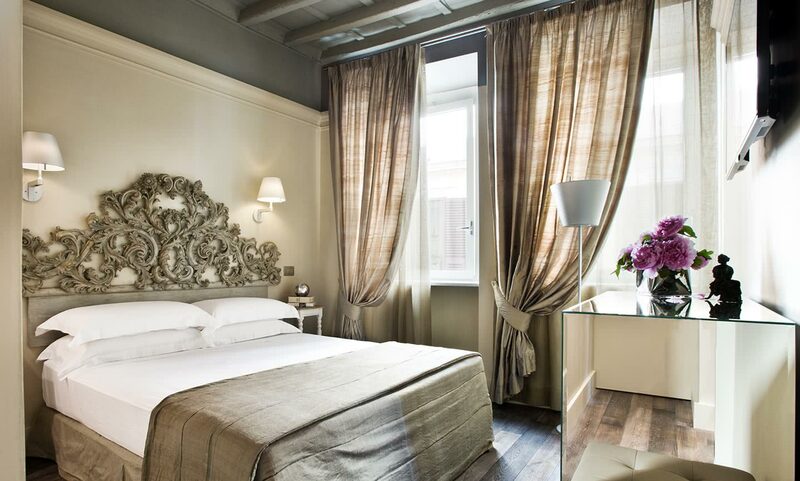 The double bedroom has two windows facing Chiavari street, (situated on Theatrum Pompeium).